Tomorrow is Earth Day, and I'm super excited to be partnering with Schoola to celebrate it. Earth Day is a worldwide movement to spread awareness about building a healthy, sustainable environment for future generations. Schoola is an online thrift store that benefits schools in the U.S., and the Malala Fund internationally. 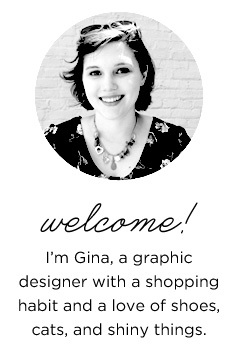 You can read more about how Schoola works here, but it's a great organization and a great shopping site! I love thrifting, and not only is it a lot of fun, but it's good for the environment. Americans send 10.5 million tons of clothing into landfills each year (according to the Atlantic)—and thrift shopping is a great way to curb that waste. 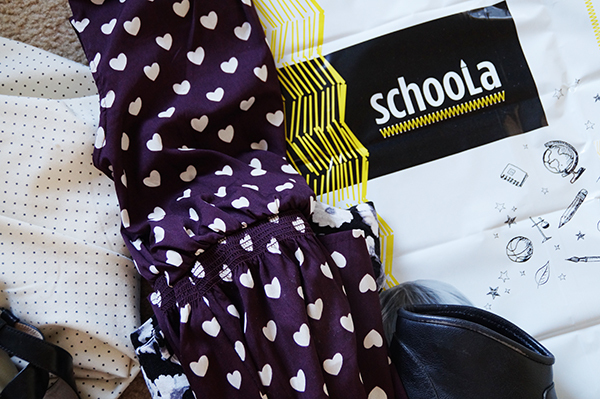 All of Schoola's clothing is donated, and it's completely free to send in a bag of donations—and you can request a bag here (and postage is paid!). I try to clean out my closet fairly often, and have been sticking to a one in, one out policy—and when an item goes out, I always donate it. Spring is a great time to clean out your closet, along with all the other cleaning! 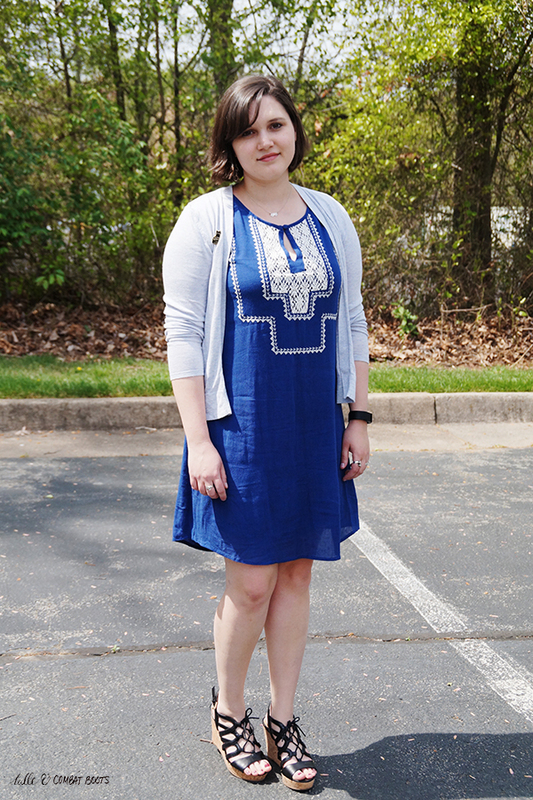 In celebration of Earth Day, Schoola sent me a few items to style—it was so fun, especially because it made me step out of my usual style zone a bit and try some new styles. 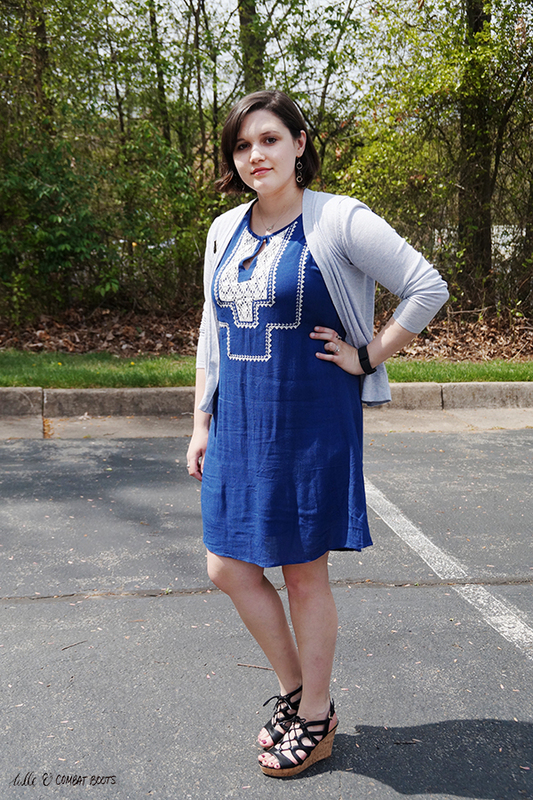 Check back tomorrow for another outfit post featuring almost all thrifted items! 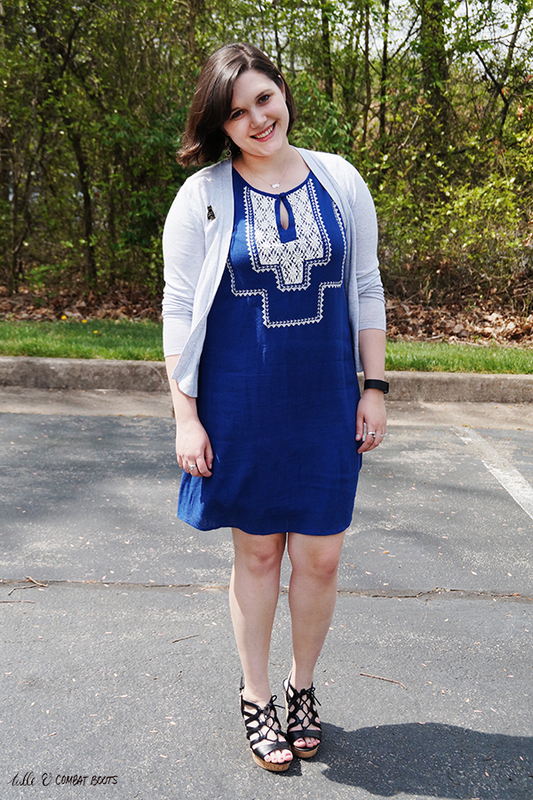 I absolutely love this dress—the embroidery is beautiful, and the fit is super flattering. 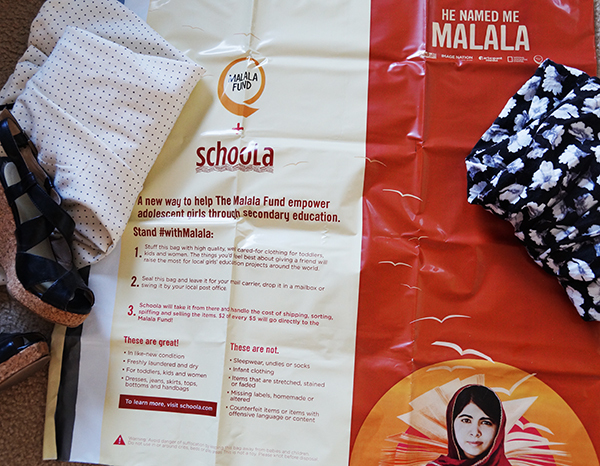 Schoola has a lot of brand new with tags items, a lot of which are donated from brands to benefit the Malala Fund. 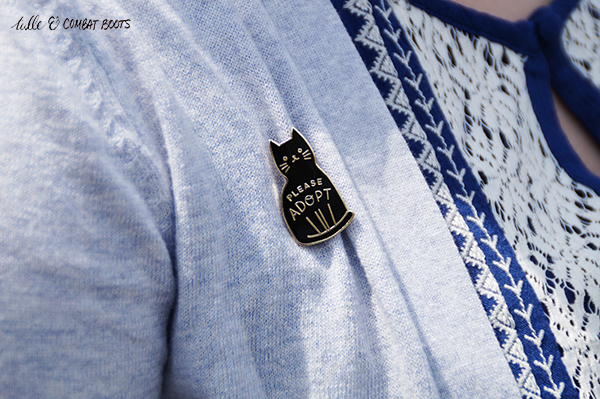 And say hello to my newest cat pin! It's so cute, and some of the proceeds go to animal shelters in Canada, where the maker is from. How are you celebrating Earth Day? 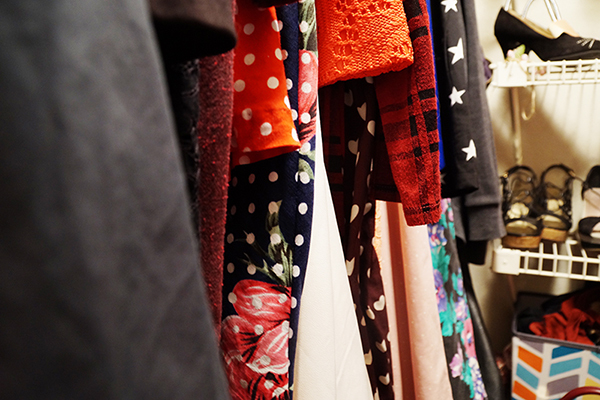 Have you cleaned out your closet lately?